Almost exactly eight months ago, the Stanford Cardinal put on a dazzling show. With its 45-16 dismantling of Iowa in the 102nd Rose Bowl Game, Stanford ended its season on an absolute high note, and further pushed itself into the national conversation as a perennial powerhouse. No. 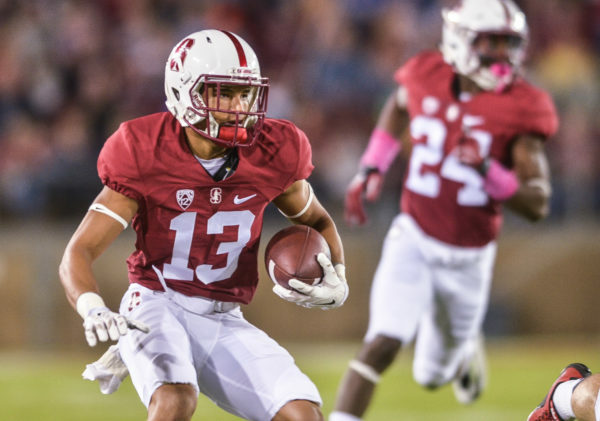 8 Stanford will begin to write the next chapter of its storied tale in college football lore as it opens the season against the Big 12’s Kansas State this Friday at Stanford Stadium. In some ways, the game has the makings for an unfortunate deja vu. Lofty expectations going into a season opener against a purple-and-white non-conference opponent named the Wildcats? Stanford found itself in this spot just a year ago, and if last year’s humbling opener taught the Cardinal anything, it’s that no game can be taken lightly. But when examining what’s different about that Cardinal team from a year ago and the current version, the conversation begins with junior Christian McCaffrey. After a Heisman-worthy year in which the star running back broke the single season all-purpose yardage record, all sights will be set on McCaffrey to see if he can replicate his phenomenal season. However, just as college football media and fans start paying more attention to McCaffrey right away this season, so will opposing defenses. And McCaffrey’s quest to outrun everyone will start off by facing a tough test in Kansas State’s stingy and physical defense. Perhaps the biggest change for Kansas State’s defense will be the return of fifth-year senior safety Dante Barnett, who comes back fully healthy after missing almost all of last season with a shoulder injury. Barnett is a three-time captain for the Wildcats, and as a probable All Big-12 player, he is emblematic of the poise and confidence that the defense possesses. Another big piece in that defense is senior defensive end Jordan Willis, who led the Wildcats with 9.5 sacks last season. Willis is thought to be one of the best pass rushers in the country, and he’ll certainly make things tough for the Cardinal offense. Luckily for Stanford, the offense has no shortage of weapons itself. One big question mark for the team, however, is how the offense will run with senior Ryan Burns, the newly-named starting quarterback, at the helm. Shaw’s announcement of Burns as the starter came as a surprise to many given how close the race between Burns and junior Keller Chryst was thought to be. And even with Burns as the starter, Chryst will get playing time against the Wildcats, although Shaw has not disclosed exactly how much he will play. But regardless of who is under center, Stanford hopes that the pieces will be in place for a successful offense. 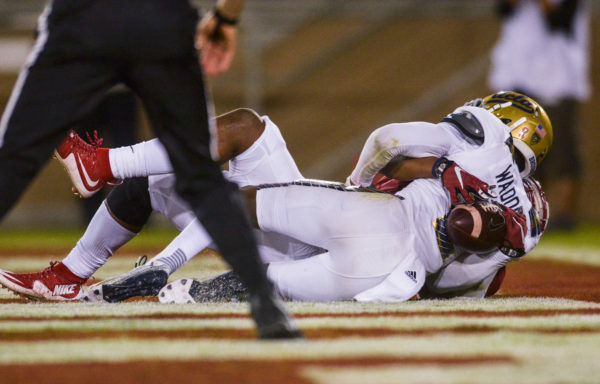 Although the offensive line, with three first-time starters, is untested and though sophomore running back Bryce Love is out with an injury, playmakers abound for the Cardinal, from McCaffrey to the talented wide receivers in fifth-year senior Michael Rector, senior Francis Owusu and sophomore Trenton Irwin. On the other side of the ball, Stanford’s defense looks incredibly strong with a lot of depth at many positions. While some players on the defense will make their first career starts against the Wildcats, including sophomore defensive end Dylan Jackson and junior inside linebacker Bobby Okereke, Stanford plans to rotate through enough that the starting designation won’t carry as much weight as it may have in years past. “We’re the deepest we’ve ever been at the defensive line,” junior defensive end Solomon Thomas added. Kansas State will counter on the offensive side with a first-time starting quarterback of its own in junior Jesse Ertz, who actually won the job last season before going down with a season-ending injury on his first play from scrimmage last year. Ertz and his inexperienced offensive line could have trouble against the Stanford defense, but they’ll be supplemented by a very versatile running game. The Wildcats will use a combination of running backs to try and wear down Stanford’s front seven. The rushing corps includes senior Charles Jones, sophomore Justin Silmon, among others, and the constant varying of backs will make it crucial for the Stanford defense to make appropriate adjustments. Indeed, the Wildcats come to The Farm with a seasoned group that won’t make things easy for Stanford. Kansas State is a highly respected and formidable program, and that starts at the top, with head coach Bill Snyder, who will begin his 25th year calling the shots for the team this season. The game figures to be an interesting matchup, with two experienced and respected head coaches, two new starting quarterbacks and two strong defenses. In the end, the game will most likely come down to which offense is able to break down the opposing defense first, and though Stanford may have the talent advantage on the offensive front, underestimating Kansas State would be a huge mistake. Stanford and Kansas State will face off at Stanford Stadium at 6 p.m. on Friday. The game will be televised on Fox Sports One.